Saab 900 1994-1998. Cooling System Parts (37). Saab 9000 1992-1998. Suspension & Steering (162). The Equivalent Saab Part Reference Numbers Are4109070 & 9524836. New Arrivals. Service Parts (14). Other (18). Now for the boring bits. All second hand parts are tested before removal. I will do my best to resolve any issues. PART NUMBER - 55354141. GENUINE SAAB GLOW PLUG RELAY. SAAB - 9-3 1998-2003 2.2 DIESEL. SAAB 9-3 SPORT 2003-2005 1.9 DTH. SAAB - 9-5 2002-2006 2.2 DIESEL. SAAB - 9-5 - 2006 DTH 1.9 DIESEL. Saab 900 1988-1993. Saab 9000 1988-1998. The Saab Part Number Equivalents Are4433801 & 9566647. Quick Links. ITEM DETAILS. You will have to sign for the item when it arrives. The parcel will need to be signed for. The Saab Part Number Equivalents Are1324749, 8536401, 85 36 401 & 605361000. Saab 900 I 2.0 S Turbo-16 01.92-12.93. Saab 900 I Combi Coupe 2.0 Turbo-16 01.93-06.94. Saab 9000 2.0 -16 01.89-01.93. Saab 9000 2.0 -16 Turbo 04.85-12.91. SAAB 9-3 (YS3F) 1.9 TiD. SAAB 9-3 Convertible (YS3F) 1.9 TiD. SAAB 9-3 Estate (YS3F) 1.9 TiD. SAAB 9-5 (YS3E) 1.9 TiD. SAAB 9-5 Estate (YS3E) 1.9 TiD. Blue Plug for all Models. AB31 to AB38, AB40 to AB56, IV1 to 28, IV30 to 32, IV36 & 40, IV52 to 54, IV63, KW1 to 14, PA21 to PA38, PH4 to PH41, PH49, PH50, PO30 - PO41, LL58-78. We have for sale a grey relay. 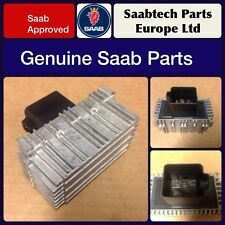 This is a brand new genuine Saab part with reference number 13266315. SAAB 9-3 (9440) 1.9TID Z19DT & Z19DTH Diesel 2005 to 2010 model years. SAAB 9-3 (9440) 1.9TID DIESEL GLOW PLUG RELAY (PART NO: 55354141). SAAB part number is 55354141. SAAB 9-5 (960 0) 1.9TID Z19DTH Diesel 2006 to 2010 model years. Vauxhall Opel Vectra A & B. Saab 900 and 9000. Other Part Number:669. GenuineVauxhall Part. Good Working Order. PART NUMBER - 4109070. 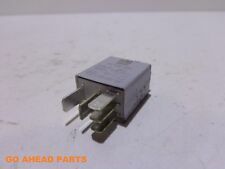 GENUINE SAAB ORANGE HEADLAMP RELAY. SAAB 900 - 1994-98. FUEL LIGHTS STARTER FAN DICE MULTI PURPOSE RELAY. 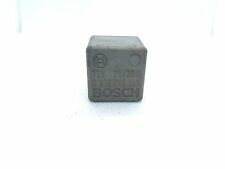 SAAB 8533176 BOSCH 0332209159. MAKE: SAAB. YEAR: 2003. BODY TYPE: 5 DOOR, ESTATE. 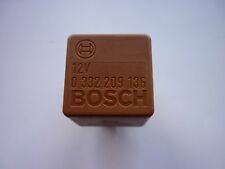 Tyco Part Number:V23134-J52-X369. Saab (Almost All Models) From 1990 - 2010. Genuine4 PIN Multi-UseYellow Relay. Condition:Good working condition. Good Working Order. Made ByTyco. ENGINE: B205, B235. You are looking at a Genuine SAAB 9-5 Solenoid Valve Unit. This will fit:SAAB 9-5 (2009-2010). The Part Number for this item is:SEE ITEM SPECIFICS FOR PART NUMBERS. Saab (Almost All Models) From 2002 - 2012. 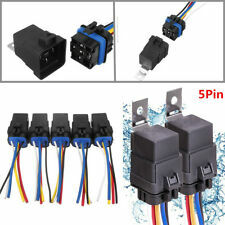 Genuine4 PIN Multi-UseBlack Relay. GenuineVauxhall Part. Fits both LHD & RHD cars. Good Working Order. SAAB 9-3 (9440) WINDSCREEN WIPER & WASHER PUMP RELAY - BROWN (PART NO: 90491314). SAA B part number is 90491314. Collection from Suffolk (IP6) can also be arranged. I have up for sale a used genuine brown windscreen washer pump relay. SAAB 9000 HEAD LAMP ORANGE BULB CHECK RELAY (PART NO: 4109070). SAAB part number is 4109070. Collection from Suffolk (IP6) can also be arranged. SAAB 9000 1988 to 1998 model years. SAAB 9-5 (9600) 1998 to 2010 model years. 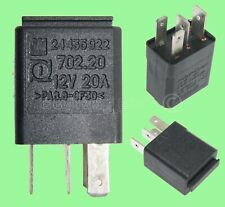 70A 4 PIN YELLOW RELAY. WILL FIT MANY DIFFERENT VAUXHALL / OPEL. GENUINE GM VAUXHALL SAAB. MANY MORE VAUXHALL PARTS COMING SOON. AND SAAB MODELS. Vauxhall (Opel) All Models. Genuine5 Pin Grey Multi-Use Relay. GenuineVauxhall Part. Fits bothLHD & RHD cars. Good Working Order. Saab Headlight Relay Orange Fits saab 900s 9000s 93s up to 2002 and saab 95s 1998-2006. Saab (Almost All Models) From 1990 - 2005. 9-3, 9-5, 900, 9000.etc. Colour:Orange or Brown. Part Number:5GK005675-01. GenuineSaab Part. Good Working Order. 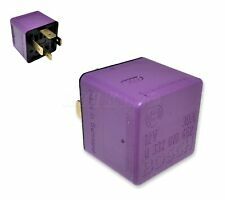 Genuine4 Pin Purple Relay(Fuel Pump Relay / Multi Use). GenuineVauxhall or Saab Part. Made inGermany by Bosch. Other Part Number:6238522. Part number 90494187. Vauxhall Vectra B. Vauxhall Astra. SAAB 9-3 (9440) REAR ELECTRICAL DISTRIBUTION UNIT FUSEBOX (PART NO: 12769679). SAAB part number is 12769679. SAAB 9-3 (9440) 2003 to 2005 model years. SAAB 9-3 (9440) 2008 to 2012 model years. I have up for sale a used genuine rear electrical distribution unit fuse box. You are looking at a Genuine SAAB 9-3 No.5 Convertible Soft Top Relay. This will fit:SAAB 9-3 (1998-2003). SAAB 9-5 AERO 2002-2005 4 X SMALL RELAYS (Removed from a right hand drive car). 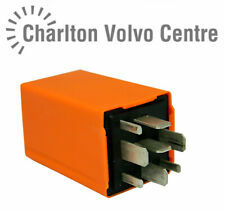 THIS SET OF 4 RELAYS ARE FROM A YEAR 2003 SAAB AERO, 4 DOOR SALOON 2.3 TURBO PETROL ( Engine Code B235R) 5 SPEED MANUAL. PART NUMBER: 90414477. MANY MORE SAAB / VAUXHALL PARTS COMING SOON. SAAB / GM / OPEL. GREY RELAY. HERE FOR SALE IS A. IN EXCELLENT WORKING CONDITION. SAAB 9-3 (9440) HEAD LAMP WASHER PUMP RELAY - WHITE (PART NO: 24438885). SAAB part number is 24438885. I have up for sale a used genuine white head lamp washer pump relay. In used but very good clean condition. 12V 10 / 20A. Saab (Almost All Models) From 2002 - 2012. Genuine5 PIN Multi-UseSilver-Grey Relay. GenuineSaab PartNote. 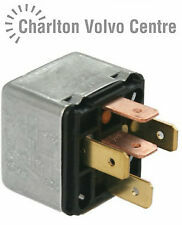 Small body grey 5 pin relay fits in fuse box of all Vauxhall Saab all GM vehicles, operate lights, horn, washers, etc. SAAB 9-3 No.2 Convertible Soft Top Relay Unit 1998 - 2003 5038591 FITS SAAB 93 ! You are looking at a Genuine SAAB 9-3 No.2 Convertible Soft Top Relay. This will fit:SAAB 9-3 (1998-2003). The Part Number for this item is:SEE ITEM SPECIFICS FOR PART NUMBERS. Under Bonnet Main Relay Box. Saab 900 (1978-1994). Changed your mind?. SAAB 9-5 Linear (Pre-facelift model 2002 - 2005)Relay (Removed from a right hand drive car). This vehicle part was removed from a year 2005 SAAB 9-5 Linear Estate 2.2 TiD (Engine code D223L) Manual Gearbox. 2004 SAAB 9-3 1.9 TiD VECTOR SPORT 4DR. GLOW PLUG RELAY. USED PARTS HAS SIGNS OF WEAR. Usedfull set (numbered 1-5) of electric windows and roof electrical relays removed from a 2001 (Y) Saab 9-3 convertible. We are a Saab specialist breaking Saab 9-3 & 9-5 98-03. Tested.Taken from a car with a fully working roof and windows. AB, BT, IV, KW, PA, PH, all Islands. GENUINE VAUXHALL ASTRA ZAFIRA AGILA CORSA COMBO VAN GREY RELAY SAAB Multifunctio. Condition is shown on the high quality photos .All used parts has been tested and is functional can have marks wear and tear.I recommend installation in specialist garage.I not take responsibility for any damage in installation.Returns is not accepted buyer take responsibility for compare parts number.If you have any questions please feel free to contact. Buying this item you accepted this terms and condition. SAAB 9-3 (9440) IGNITION RELAY - YELLOW (PART NO: 90226846). SAAB part number is 90226846. Collection from Suffolk (IP6) can also be arranged. 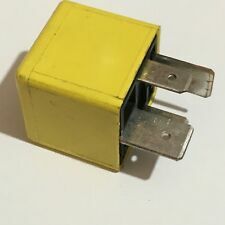 I have up for sale a used genuine yellow ignition relay. Our aim is to get your satisfied and we do our best to describe the following item as good as we can and show it in the picture. Credit/Debit Card.